When it comes to troubleshooting and analysing issues in the Enterprise Portal a http trace will often be required. While there are other http traffic recording options available, the one we know best and which we will without fail ask for is HttpWatch. At the time of writing, the current version available is 11 and it can be downloaded free-of-charge from their website. To capture the http trace it is sufficient to download and install the free, basic version. With this version the recording can be made, but it is not possible to properly analyse what is happening. At SAP we have the full, professional licence and can really take advantage of the wealth of information that has been captured. 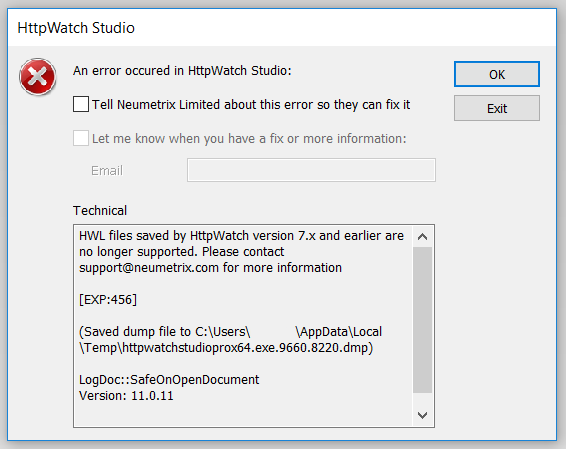 HttpWatch is available for iOS, Internet Explorer (currently, plugins for 8 to 11 supported) and for Chrome. Firefox support unfortunately ended at v40. A limitation of HttpWatch is that it does not offer a huge amount in the way of backwards-compatibility and needs to be regularly updated. With version 11 it is possible to read data captured with version 10, but older versions become problematic. For this reason it is essential to always have the latest version installed! For further information on using HttpWatch to record an Enterprise Portal scenario please see KBA 1558903.